The conference excursion will take place on Sunday 3 August. A full day trip to Knossos, Museum of Herakleion and Rethymno is planned. Accompanying persons wishing to join the conference excursion are kindly asked to arrange it in place with the OAC administration. ____ The Phaistos disc can be seen in the museum of Herakleion. The Phaistos Disc is an enigma, an circular clay disc covered with inscribed symbols on both sides that are unlike any signs in any writing system. It was discovered in the ancient city of Phaistos in Southern Crete in 1908. It is thought to date to around 1700 BC (from associated archaelogical context). Crete is famous for its marvellous landscapes and its places of historical, archaeological and ecclesiastical importance. Some of the beloved visiting places are the cities of Chania, Rethymnon and Herakleion, Knossos, the Samaria gorge, Sougia and Paleochora, the impressive beach of Falassarna and many nice villages of the wider region of western Crete. Additional information on the area and possible places of interest can be found here. For further information please contact Prof. Larissa Bravina - larissa.bravina@fys.uio.no. 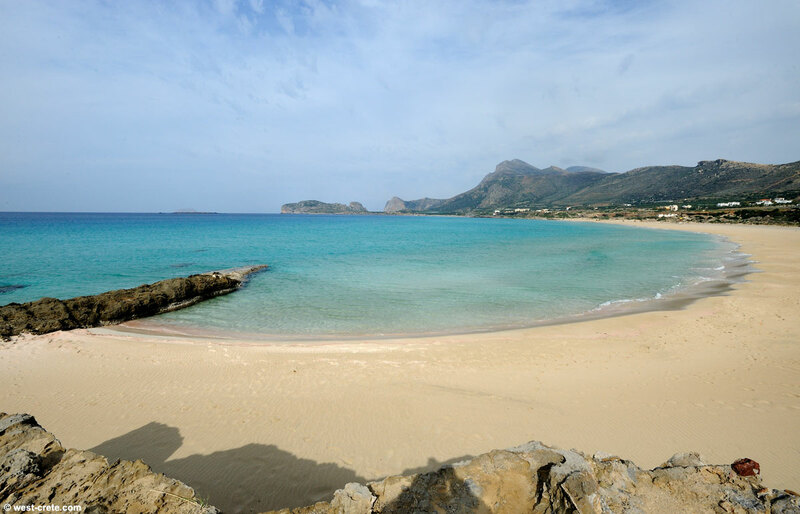 For those that prefer a calm day by the beach, arrangements have been made to visit the famous Falaserna beach, some 30 minutes away from OAC. Lunch will be arranged in a restaurant by the beach.